I haven't enabled it for polygon shaped stemwall and slabs yet, that is still a work in progress. Too much to do and not enough time to do it all. 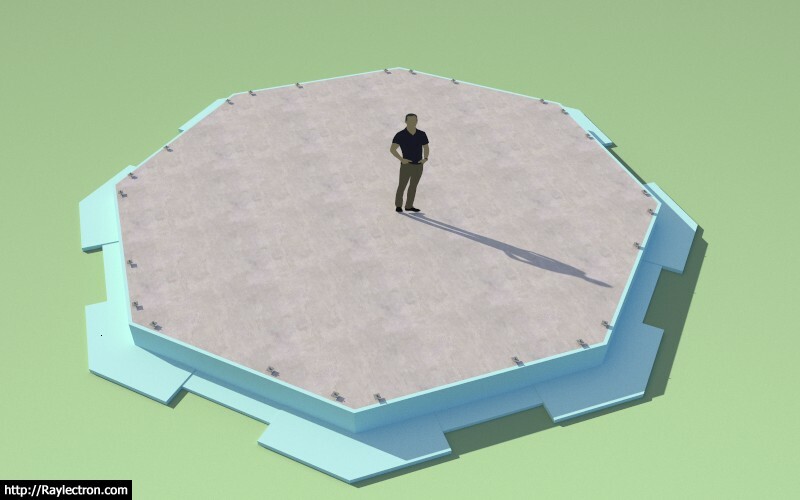 An octagon slab on grade (FPSF). Note that the angle of the corners is 225 degrees, any less and the corner treatment would go away. 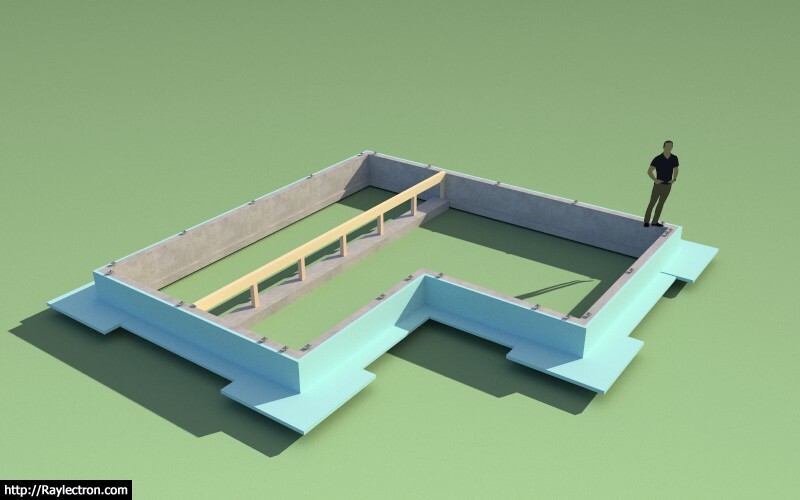 Added "FPSF" option to polygon stemwall foundations. Now I've thoroughly beaten the FPSF option to death, the only thing I might add in later is a global setting to change the insulation color to pink, blue or white. Just an observation in your video. When you created a post and beam stem wall foundation. The stem wall on each end ended in front of a vent. By default the foundation vents are placed a fixed distance (user driven) from the foundation corners. Once the stemwall is created it is not very hard to move the vent manually if required. 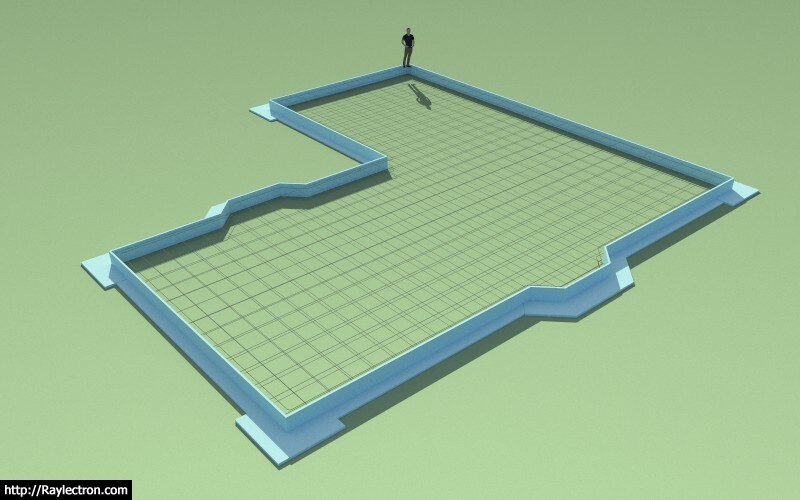 - Added pre-drawn face outline tool for stemwall and slab-on-grade foundations and slabs. You can now click on a face (any closed polygon shape) and the plugin will generate the appropriate stemwall, SOG or slab. - Fixed bug with slab reinforcement for Slab-on-Grade foundations (Polygon, Face). A new tutorial by NSM Construction. - Updated the licensing and registration system, added a license tab to the global settings. - Fixed a bug in the updated registration system. This is a critical update, the recently release version 1.1.6 will not allow the registration of the serial number. - Name of plugin changed to "Medeek Foundation". I haven't spent much time on the foundation plugin in the last year and a half and it is beginning to show. I have however determined that I can now devise an algorithm for step down foundation stem walls. A big shout out to Christina Eneroth whose excellent coding and generosity will make this feature possible in the near future. Making the step down feature fully parametric may be a bit more of a challenge. I will need to give this some serious thought. - Window and Door openings in foundation walls. - Floor drains in slabs. - Step down foundation stem walls for sloping sites (fully parametric, this will also be a challenge). - Adding more defaults into the global settings. - Raft and Waffle foundations. - The current method of inserting (one) strip footing is very limiting. This whole methodology needs to be reworked into something which allows any number of strip footings. Let me know if I am missing something on this list. The potential complexity of this plugin could easily rival the wall and truss plugins the more I think about it, again lots to do and never enough time to accomplish it all. Sometimes I think my ideas are much too big for my capacity. I've been giving this plugin some more thought now that I well versed with making my other plugins parametric. The one area that is intriguing to me right now is the ability to make a complex outline parametric. My concept or idea on how to make this work would be to have a context menu item which allows the user to right click on the foundation (ie. slab-on-grade) and choose to edit "foundation outline". A html menu would open up with the option to cancel or save changes. The points that define the foundation outline are actually stored in the attribute library. The tool would create a temporary group and then create a temporary outline (edges) within that group, while greying out the rest of the model. Once the user is done editing they can click the save button and the new points are saved into the attribute library, the temp group and its contents is deleted. The user is returned back to the root of model and the foundation is regenerated.